Eaton is continuing its support of the areas affected by the recent hurricanes. Through December 31, 2018, deal registrations for products shipping to AL, FL, GA, SC, NC, VA and TX are eligible to receive and additional, stackable 5% discount. 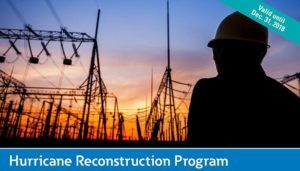 Click here to see full details on the program. Eaton was recently recognized as an Overall Winner in the Power and Protection Management category of The Channel Company’s CRN® 2018 Annual Report Card (ARC) awards program. The ARC summarizes results from a comprehensive survey that details reseller satisfaction across product innovation, support and partnership for the hardware, services and software vendors they team up with. The vendors with the highest ratings are named to the prestigious ARC list of winners. For more details on Eaton’s award, click here. 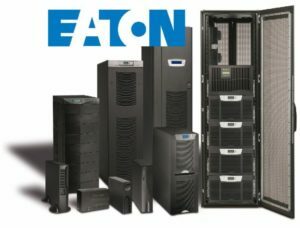 See how Eaton; Dakota State University (DSU); HM Cragg and the reseller, High Point Networks, partnered to create the Beacom Institute of Technology’s Academic Server Room to help power the next generation of leaders in IT and cyber security. The server room functions to support the facility while offering students hands-on exposure to the equipment. This was a great opportunity for the reseller and serves as a reminder that YOUR business can come in many forms. Fun fact: HM Cragg’s North Central Sales Manager, Scott Missling, played a key role in the success of this project!